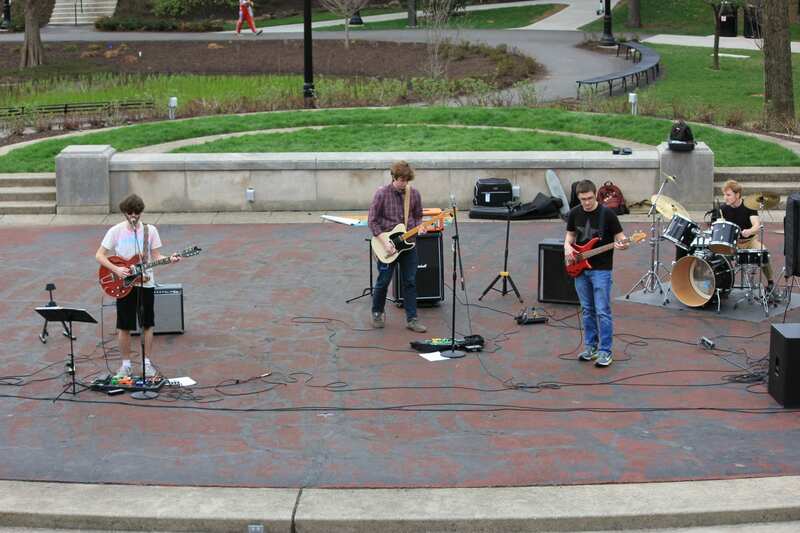 A process that started as early as November 2018 culminated Saturday when the Musicians’ Collective at Ohio State hosted its annual concert, MCoachella, at the Browning Amphitheatre by Mirror Lake. MCo was formed in fall 2009 after the disbandment of the group Future Songwriters of America, according to its Facebook page. When Mark Rubinstein, current audio engineer at the School of Music, took over as the group’s adviser, it evolved into a community for musicians from all majors and not necessarily just music majors, Sonny Davis, fourth-year in arts management and president of MCo, said. The event, an outdoor music festival, is a play on popular music festival Coachella and was planned to coincide with the actual Coachella weekend, Davis said. Since Coachella takes place over two weekends, April 13 and 14 were decided as the dates so that the show wouldn’t clash with Easter weekend. The event saw about 60 people in the audience at a given time, with the number fluctuating depending on which artists were performing and how many people the acts brought along with them. Nolan LaMarche, a second-year in mechanical engineering and projects manager for MCo, said the executive board was approached by a lot of hip-hop artists this year, and MCo wanted to give them the opportunity to perform. A lot of the music that the group generally sees at MCo revolves around the indie-rock genre, LaMarche said, because those are the kinds of people who are regular at MCo meetings and are a part of the organization. Bands with MCo members in them are typically given priority, along with other student bands, Davis said. Although there is a stipulation that every performing band needs to have at least one student from Ohio State to participate, she said they don’t enforce the rule. The lineup for Saturday consisted of Irina Kuznetcova, 72 Spectrum, Stevie T, Jxlani, So Commando and Cosmic Graffiti. Davis said Mco prefers not to choose one genre of music over the other so the bands that performed were of a wide variety. The organization rents all necessary basic equipment, such as microphones, cables and monitors, so the bands and artists only need to bring their own instruments and any extra equipment that they might need for their performance, LaMarche said. MCo is the organization’s biggest event of the year, and Davis said that most of its funding is used to put on the event. MCo raises money through Ohio State student organization funding, but the board members also participate in the Clean Up Columbus program, a monthly off-campus litter pickup project that provides funding for student organizations, Davis said. The entire process to set up the event is a tedious one, but the payoff is always worth it, Davis said. Starting in November 2018, the board of MCo began preparing for the event. 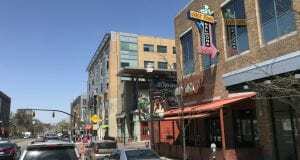 The venue was the first thing to be booked, and LaMarche said that he started reaching out to artists to play around the beginning of the spring semester. “We really have to think of it all ahead of time because there’s so much work that goes into something like that,” Davis said. Even though it’s just in the form of a pun and the concept of live music, MCo’s annual concert is a way of bringing the magic and fun of Coachella to Ohio State. “Who wants to go to Coachella when you can go to MCoachella?” Davis said.